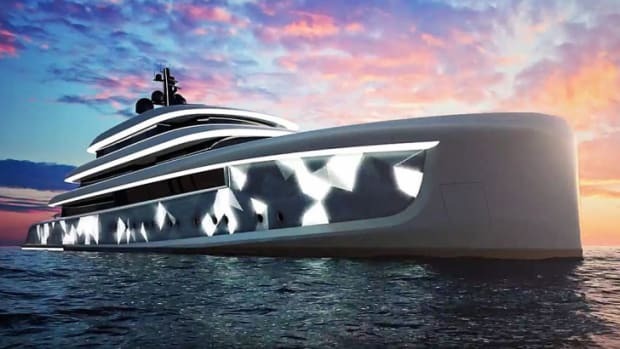 Oceanco's Moonstone touts revolutionary exterior lighting effects you must see to believe. 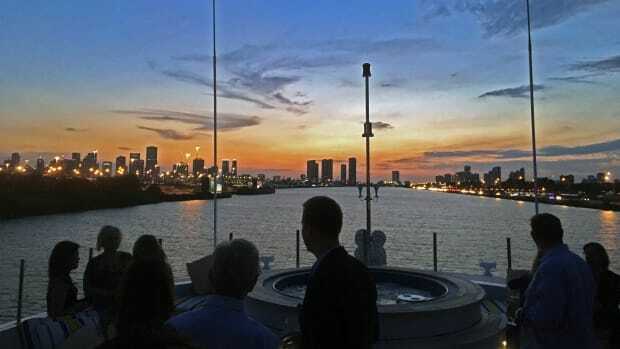 The Scene: A private sunset cruise aboard 157-foot Trinity M/Y Never Enough. 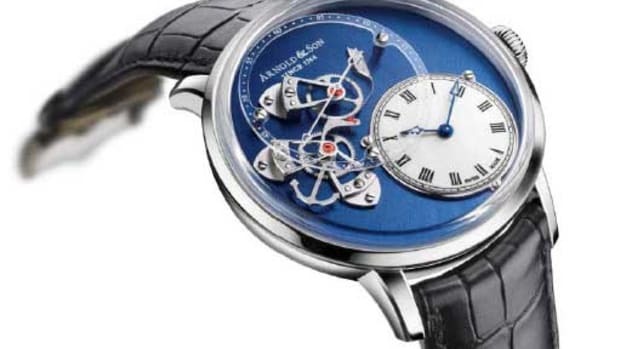 Arnold & Son is becoming quite a fixture on the superyacht scene these days. 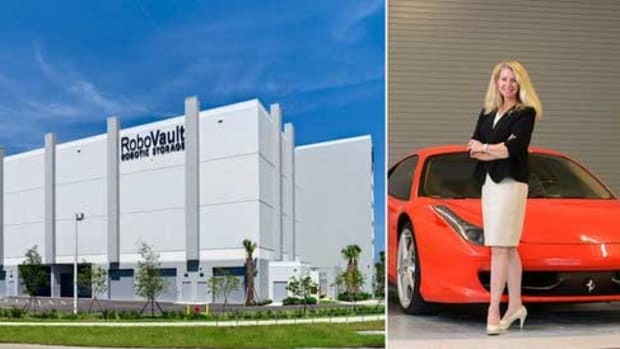 RoboVault is used by the country's wealthiest people to store cherished items including exotic cars, rare art, antiques and vintage wine. 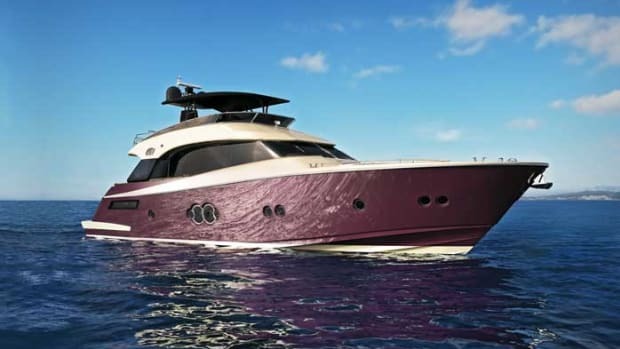 A development of the successful 720, the new 750 model spearheads the Italian boatbuilder’s latest thinking when it comes to international sales. And there’s much more to this thinking than a nod to U.S. catering habits. 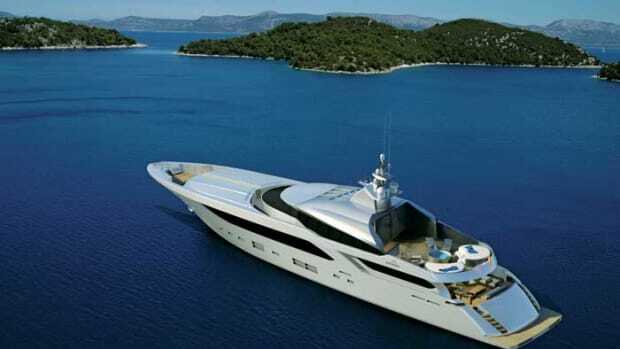 Sunreef Yachts celebrated its 10th anniversary in 2012. It has been an eventful decade for the company that Frenchman Francis Lapp established in Poland. 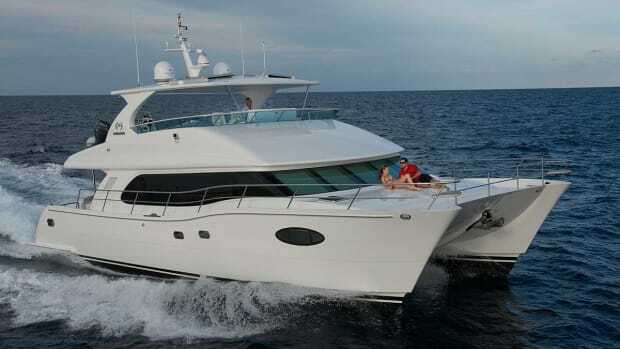 Since the 2008 launch of the first 70 Sunreef Power, the company has contributed—perhaps more than any other—to the phenomenal growth of the powercat, particularly on the charter market. 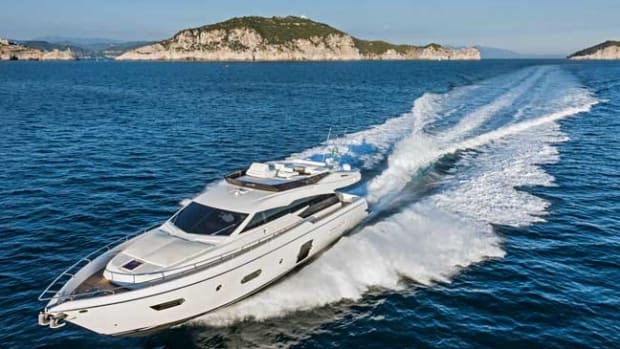 We first saw this refreshingly innovative flybridge yacht in Cannes in 2010, where Monte Carlo Yachts made its world debut with the first MCY 76, Georgia. 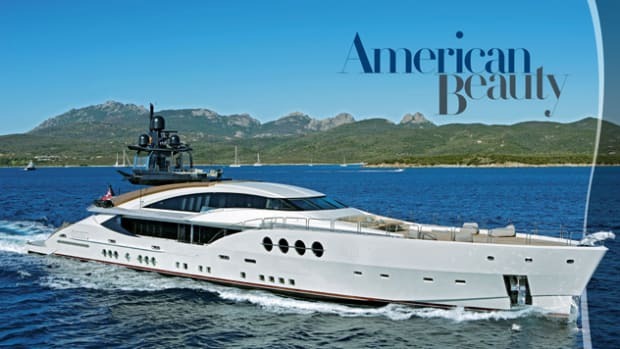 Built in Italy, this brand belongs to Groupe Beneteau, a French company with deep roots in the US market. 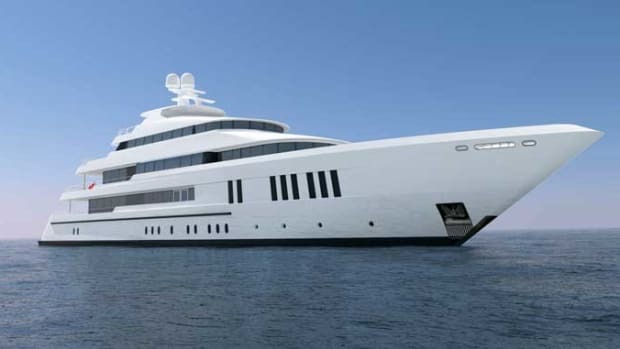 In 2011, we walked around the Vitruvius 73’s huge metal structure at Perini Navi’s Yildiz yard in Turkey. 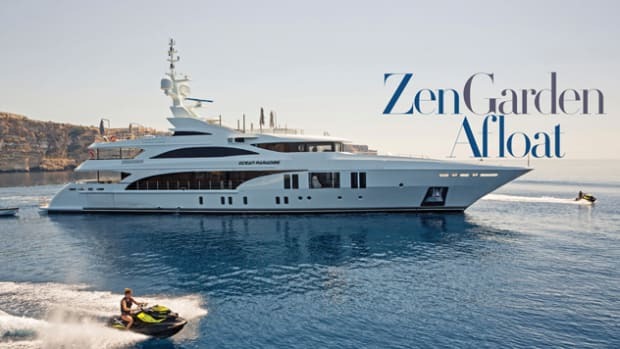 A year later, a trip to La Spezia gave us an opportunity to see all the progress that had been made on a yacht is shaping up to be an exceptional new entry in the superyacht world. On the occasion of our latest visit to Heesen’s facilities in Oss, we had the opportunity to get aboard the builder’s new flagship, the all-aluminum Heesen 65m. Construction started in December 2011 after a long design and planning process. 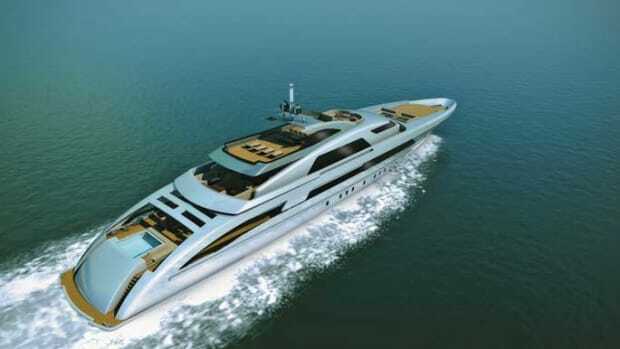 The much-anticipated yacht, currently in the outfitting stages, is well on her way to an on-time delivery in 2013. 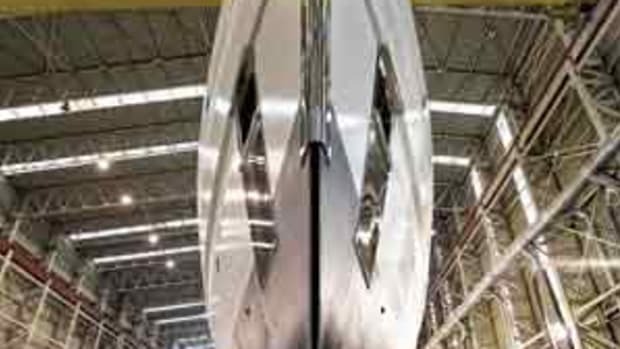 The family-owned Spanish shipyard, founded by Jesus Astondoa in 1916, stayed true to what has been a winning formula over the past decades. 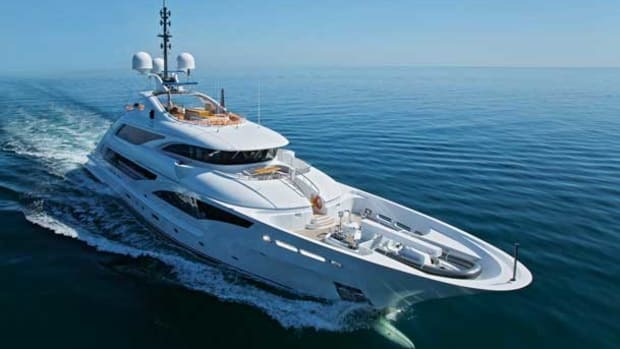 Astondoa, which has a diverse production, offers its clients a high level of customization, regardless of boat size. 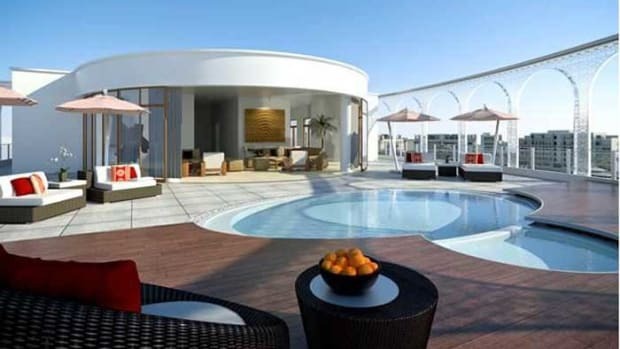 Just before the community celebrated its second anniversary, Albany is expanding with the construction of brand new Marina Residences. Located near Nassau in The Bahamas, Albany has been welcomed by the island. “This important second phase of construction at Albany is a terrific vote of confidence for the Commonwealth of The Bahamas,” said Bahamas Prime Minister Perry Christie. 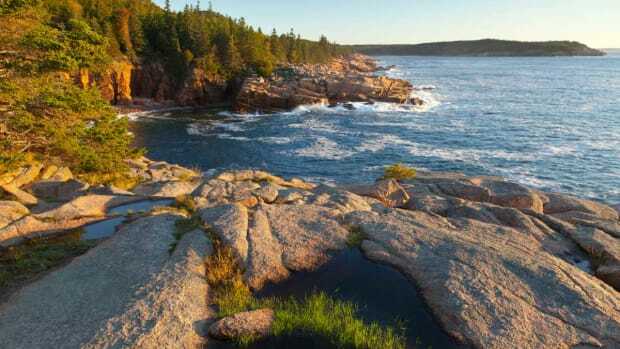 Jill Bobrow chats with Alec and Barbara Hammond, the owners of Blue Horizon, Hull No. 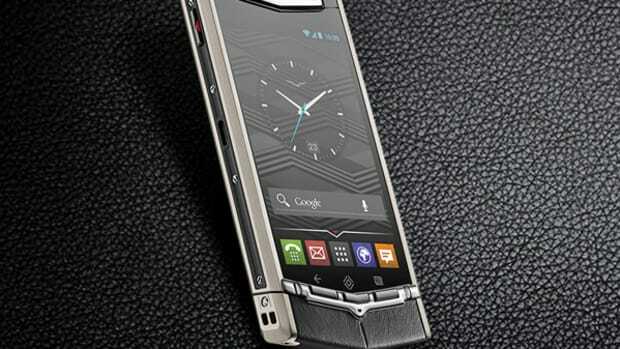 One of the new Horizon PC58 series. 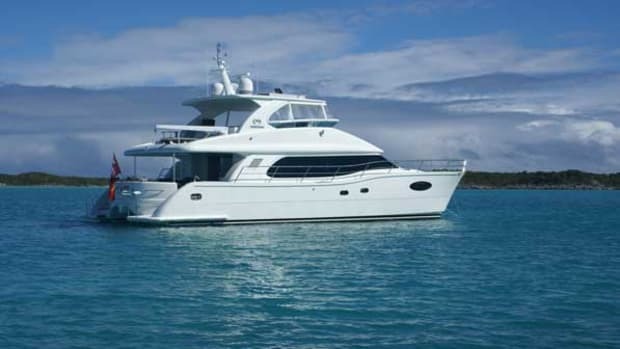 The Horizon PC58 made its world debut at the 2011 Fort Lauderdale International Boat Show and proved to be a great success story with several orders following its first appearance. 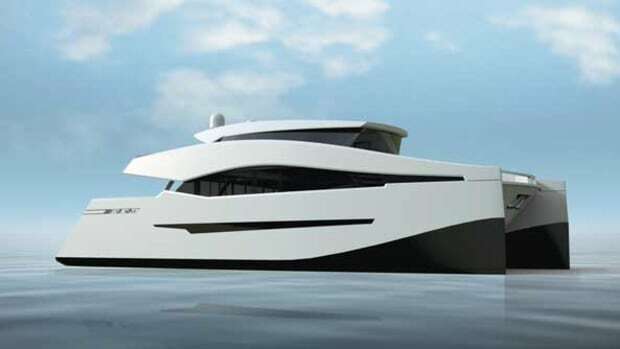 This surprising 58-footer, part of Horizon’s new power catamaran series, has the volume of a boat twice its length and is easily handled by a couple of experienced boaters. 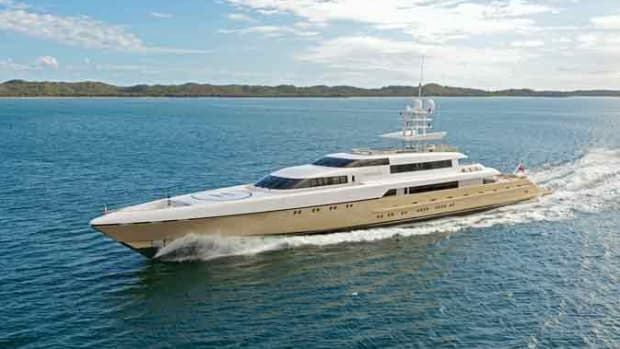 The second in a series of three 164-foot yachts based on the same naval platform but with totally different exterior lines and interior layout, Papi du Papi is designed for long, relaxing holidays and family time. 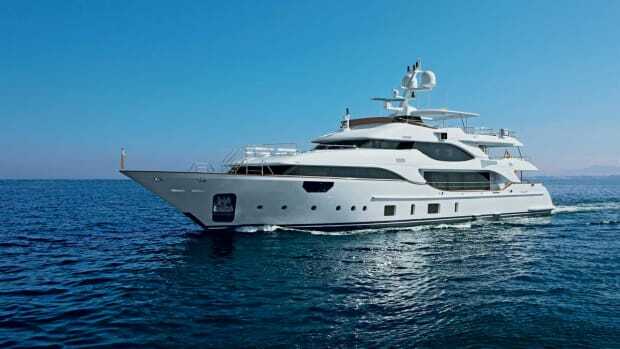 The Crystal 140 is one of the newest models in superyacht-builder Benetti’s semi-custom offering. Exterior styling by Stefano Righini and a functional interior by François Zuretti give her an alluring and subtle personality, suitable for personalization. 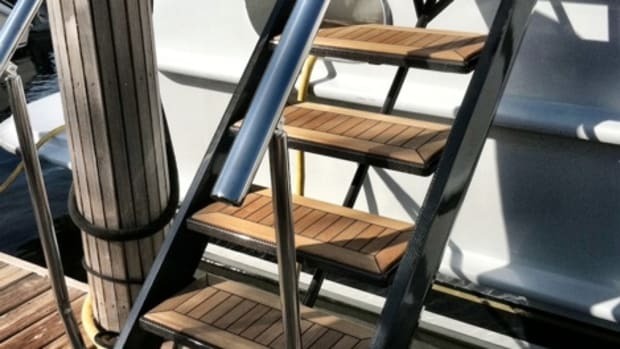 A new company in the yachting equipment marketplace, Bristol Yacht Components, has introduced its premier product line: Bristol Boarding Stairs. 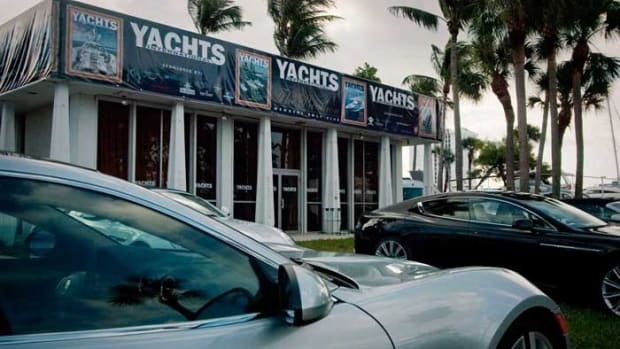 Bristol Boarding Stairs are made of carbon fiber to provide a durable, lightweight, easy-to-deploy access system with an aesthetic design to enhance the look of any motoryacht or sailing vessel. 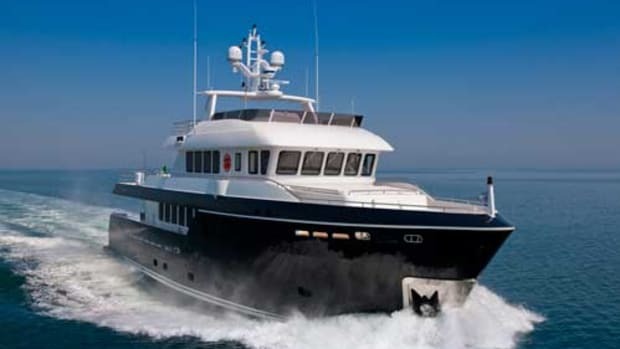 Aviation company ConnectJets now offers clients a frequent flyer program in Europe that comes with a whole collection of perks and Maine shipyards and marine groups invite yachtsmen to a series of events showcasing the Maine coastline.